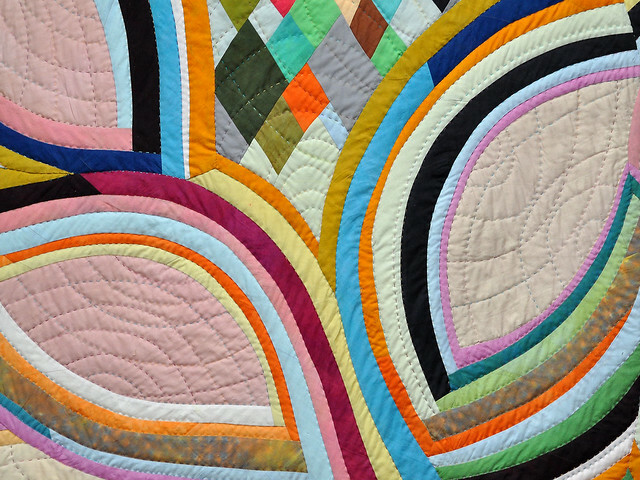 RGB Modern, 2012, 72" x 57" --hand dyed and commercial solids, hand and machine pieced, hand quilted. I considered the space between warp and weft when piecing these curves with bias cut strips. RGB Modern explores the additive color space of the screen. Improvisational process. I began this quilt while I was teaching at Penland School of Craft in July 2011. It took quite a while to percolate. I completed it in August 2012, over a year later. The seed of my composition came from this sketched pattern of the concentric rings within an onion. I used a bias strip curve piecing technique to sew the curved strips. The thing that kicked the composition to completion was a bit of scrap patchwork play that evolved into the diamond background. I was inspired, by many of you who were blogging about your scrapping process, to dig out my bag of hand-dyed scraps. Check out the composition process animation for RGB Modern. It's for sale! Contact me. 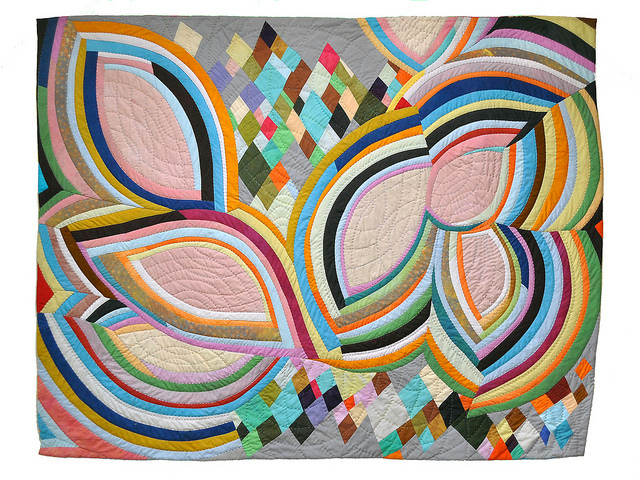 This quilt will also be showing at QuiltCon. Look for it there or if your local to the San Francisco Bay Area come and see it during my talk at Stitch Modern tomorrow night.